This blog is dedicated to books about coins and building a numismatic library. It consists of books that I personally recommend that you add to your numismatic library because they add value to your hobby by making you a more knowledgeable collector. 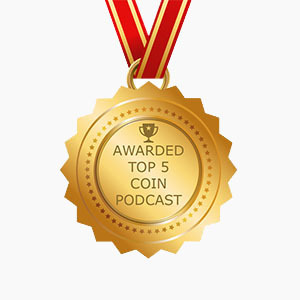 You see, a while ago, I started reviewing books and I dedicated segments of The Coin Show to these reviews, but the more books I covered, the more I was asked, “Mike, why are your reviews always positive?” This was a fair question, as in the first 10 reviews or so, I had never panned a book. The answer shouldn’t surprise you though. I decided that I wasn’t going to spend time on the show talking about books that I didn’t like, as who wants to hear about anything that’s not worth doing. In that moment it occurred to me that I would only share recommendations of books that I felt were worth your time, worth your money, and valuable to you as collectors. Thus began my book recommendations, the product of which is Mike’s Book Recommendations Blog. You can rest assured that any book that you see covered here is worth spending the time and money on. I only recommend books that I feel belong in a good quality reference library. Sure, I could talk about all of the latest books and tell you why I don’t like book A or B, but why would I waste your time with that when there are so many that are worthy of your attention? I haven’t found enough time yet to talk about all of the great books that I love, and I don’t expect to do so at any time soon. My pledge to you is to be fair, honest, and present what I feel are the best of the available offerings of the day. To help you as a reader and researcher to build a reference library that would be envied by any numismatic scholar, and in the process, give you all of the tools that you need to become a better numismatist. I hope that you enjoy my book recommendations blog!